With only a few lines from Dante’s dark and epic masterpiece, The Inferno, to guide them, they must decipher a sequence of codes buried deep within some of the most celebrated artefacts of the Renaissance – sculptures, paintings, buildings – to find the answers to a puzzle which may, or may not, help them save the world from a terrifying threat. Inferno is the fourth book in the Robert Langdon series and I found it thrilling. It isn’t a re-write of The Da Vinci code and starts in high gear as Robert find himself with retrograde amnesia in hospital. Things get progressively complicated and intriguing with an organisation called Consortium involved and a rogue genetic engineer obsessed to Dante’s The Divine Comedy. I thoroughly enjoyed this thriller and the ethical questions it posed. It’s not a perfect book by any means and I beg to differ regarding certain issues like the treatment of vertigo, and the side effects of metoclopramide, but thrilling Inferno is unless you have absolutely no interest in the themes it embraces. Next Next post: Status: Reviewer? 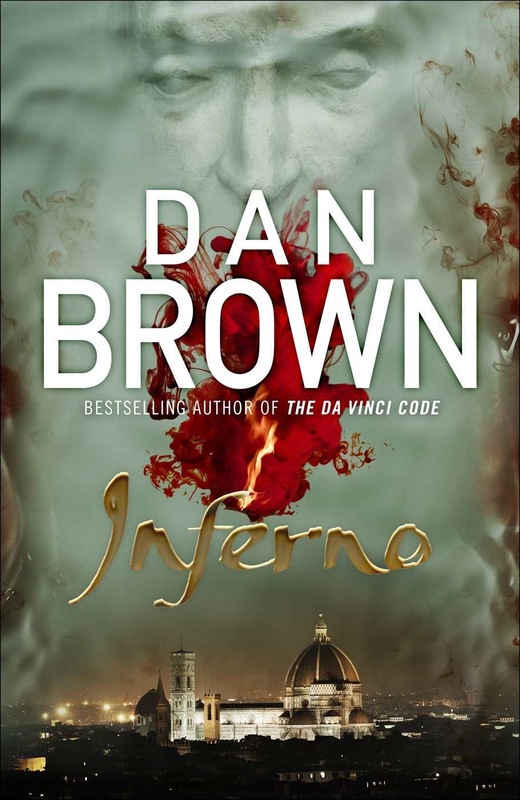 Is that the UK cover of “Inferno” because it’s very different from the cover I got at Chapters in Canada? Wow, it’s really pretty! I usually don’t like ebook covers but this one is nice. I think it was the hardback cover here too. Definitely an improvement on previous Dan Brown covers.